The title ‘Ellinika Phtera’ means Hellenic Wings. in 2007 the publisher Amintikí Grammí (Defensive Line) recognised a gap in historical aviation publications and launched a purely historical magazine under the direction of publisher George P. Christogiannaki. The publication was quarterly and the first issue released in spring 2007, but received little success. Publication stopped after the third issue. 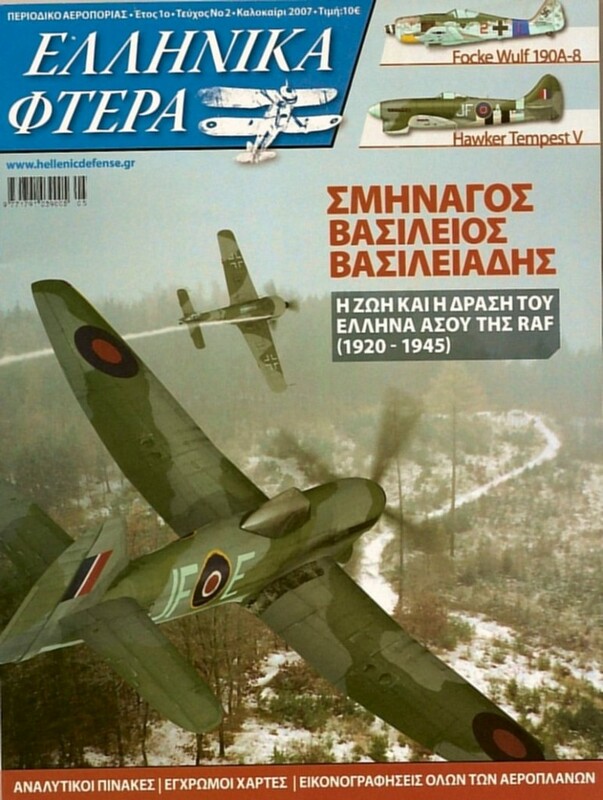 See other aviation-related magazines from Greece.